Champlain Heights is an attractive, family-oriented neighbourhood located at the southeastern tip of Vancouver, sharing a border with Burnaby. While residents enjoy the quiet that comes with being the furthest part of Vancouver from its bustling downtown core, frequent and accessible buses make trips for work or for pleasure a simple task. 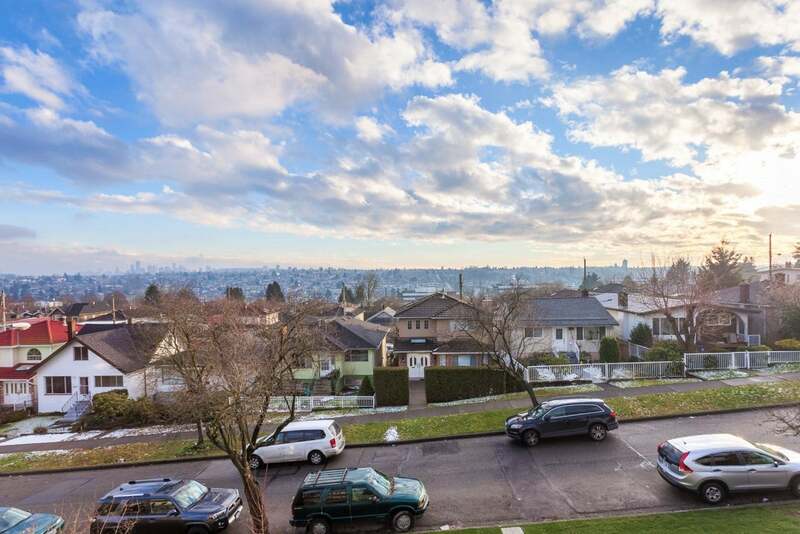 Commuting is easy from Champlain Heights, with Southeast Marine Drive cutting along the southern edge and connecting residents with major thoroughfares to other parts of Vancouver and Richmond to the west, and with Burnaby, New Westminster, and Delta to the east. Champlain Heights is less developed than other parts of the city, and is resplendent with tree-lined streets and parks. Everett Crowley Park is Vancouver's fifth-largest, and its trails are popular for walking, running, and cycling. It also includes an off-leash park for canine friends. Champlain Square, situated right at the centre of the neighbourhood, is a quaint corner shopping centre that boasts amenities ranging from Extra Foods to a deli, takeout and fast food options, Starbucks, and personal and health services. Dining and nights out begin about a fifteen-minute drive away on Main Street. The Collingwood neighbourhood of East Vancouver has a little bit of everything, making it an ideal location for just about everyone. Its southern half is filled with quiet residential streets and numerous small parks. 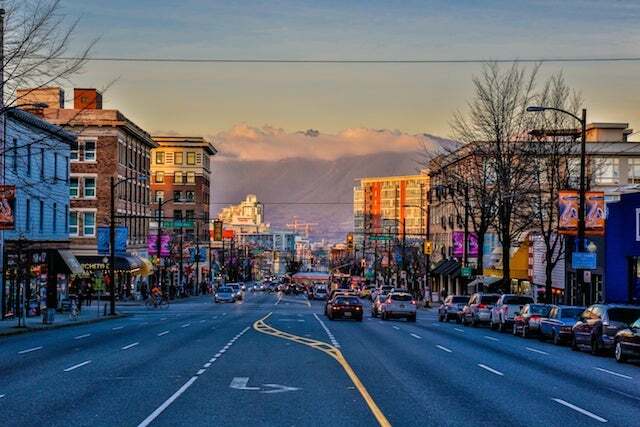 Its northern region is among the most accessible parts of Vancouver for getting around, with two main thoroughfares for commuting east or west (Grandview Highway and Broadway). All of Collingwood is well-served by public transit. Three SkyTrain stations on the Expo Line (Nanaimo, 29th Avenue, Joyce-Collingwood) are located in the south, and two on the Millennium Line stations (Renfrew, Rupert) are located in the north end of the area. The bustling Renfrew Park Community Centre offers a variety of programs from tots to seniors, and boasts a pool and fitness centre. There are two secondary schools in the catchment, Vancouver Technical and Windermere Secondary, plus eight elementary schools and an annex school. Shopping is easy, with several large grocery stores and realtors located along Grandview Highway. One complex features a RONA Home & Garden centre, another houses Real Canadian Superstore and Staples, a third centre boasts a PriceSmart Foods, Petsmart, Boston Pizza, and Starbucks, and the final stop near the Boundary border is a Walmart SuperCentre and pharmacy. Trout Lake and the fantastic dining and eclectic shopping experiences of Commercial Drive are only a short drive or bus trip away from Collingwood. 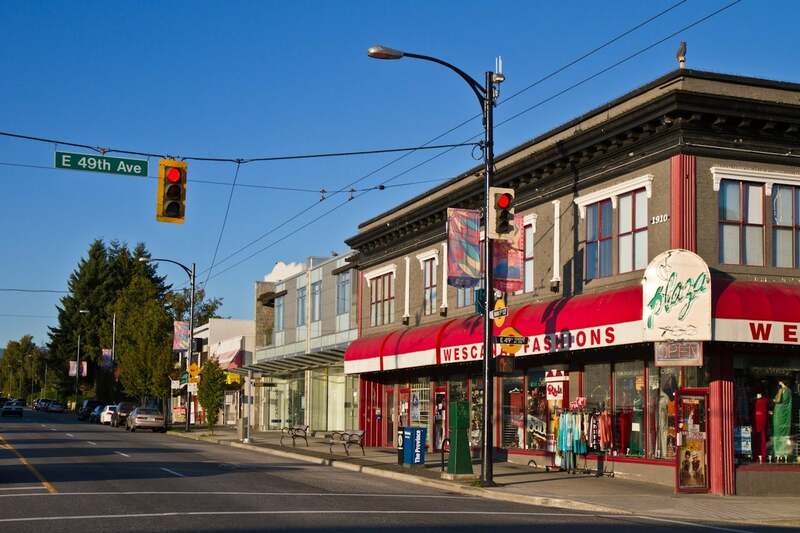 Fraser is an overlooked neighbourhood of East Vancouver, and one with much to offer. 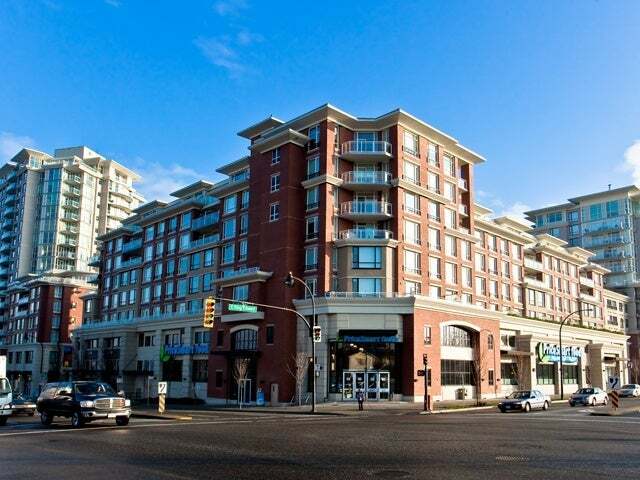 Sandwiched between Knight and Main, the Fraser corridor is ideally situated for shopping, dining, and getting around. The neighbourhoods are a combination of well-maintained older and newer homes, with quiet residential streets connecting to the bustle of Fraser Street. Commuting is also quite easy via Fraser Street, which can be taken to Southeast Marine Drive and into Richmond, Burnaby, New Westminster, Delta, or to other parts of Vancouver. Following Fraser northbound takes you to Kingsway, connecting to downtown. Sir Charles Tupper Secondary is the high school in the area, and there are several elementary schools and two annexes nearby. Recreation is also close to home, with the gorgeous Queen Elizabeth Park less than a ten-minute drive away. The popular park, often used as a backdrop in wedding photos, is home to a conservatory, tennis and lacrosse boxes, the Hillcrest Community Centre with its pool and ice rink, and dozens of trails. Grocery shopping is easy in this neighbourhood, with numerous smaller grocery stores and larger chain stores located within a five- or ten- minute drive or bus ride from most homes. Vancouver residents come from all over the city to dine at the wide variety of international restaurants on Main Street, which is also a five-minute drive from home. Coffee, burgers, and craft beers are all just a stone's throw away. Transit runs frequently in the area, connecting residents by bus to other parts of East Van, the west side, UBC, and downtown. 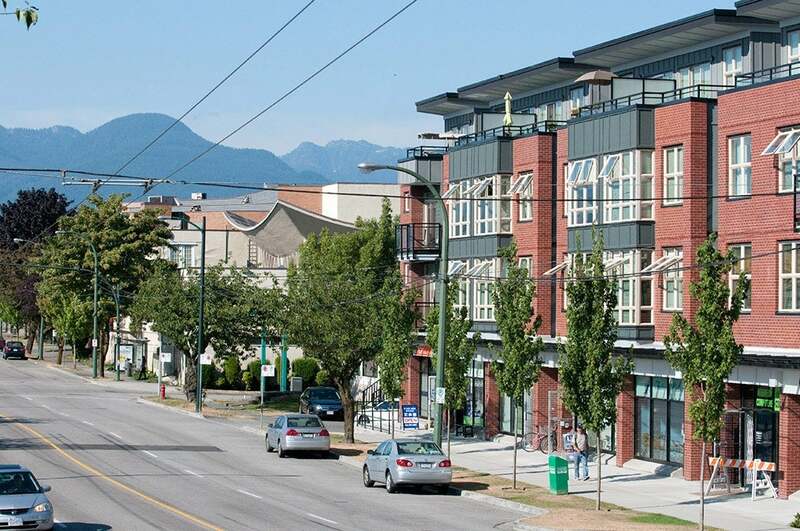 Fraserview is a quiet neighbourhood in East Vancouver, known for its peaceful lack of commercial zoning and apartment buildings. That isn't to say that there are no apartment buildings - most of them are simply located along the banks of the Fraser River at the southernmost region of the neighbourhood, overlooking the water. 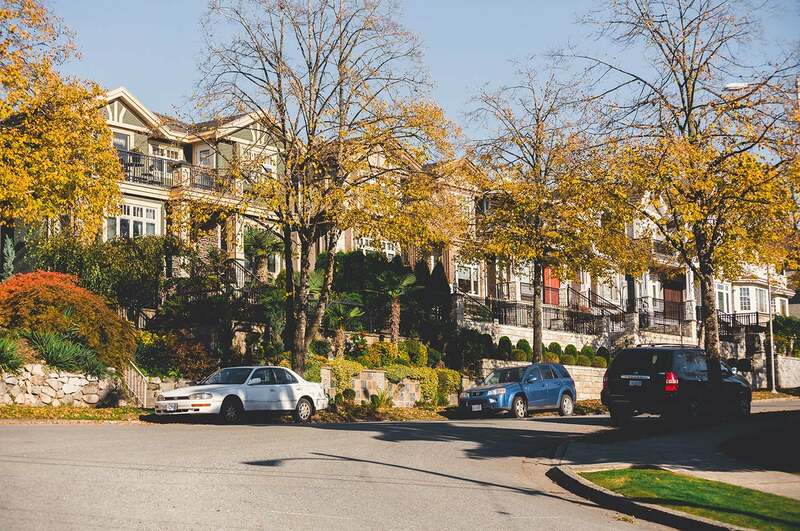 Situated between Champlain Heights and South Vancouver, most of Fraserview consists of residential streets lined with well-maintained older homes and a scattering of small parks. The busy sounds and lights of the city don't affect residents in this area. Commuting is easy with access to the aforementioned major thoroughfares and Southeast Marine Drive all within five to ten minutes of most homes. Recreation can be found just a ten-minute drive from home, at the Hillcrest Community Centre in Queen Elizabeth Park, or in nearby Everett Park with its fantastic trails. David Thompson Secondary is the high school for most of the catchment, and there are several elementary schools and an annex. The popular Fraserview Golf Course sits at the bottom of the neighbourhood. Dining, entertainment, and shopping are all within a short drive, with plenty of options available on Main Street, Knight Street, and Victoria Drive. Main Street in particular is East Van's newest popular locale for food and drink. The Grandview area of East Vancouver is like its own little world, marching to a different beat than the nearby downtown core. 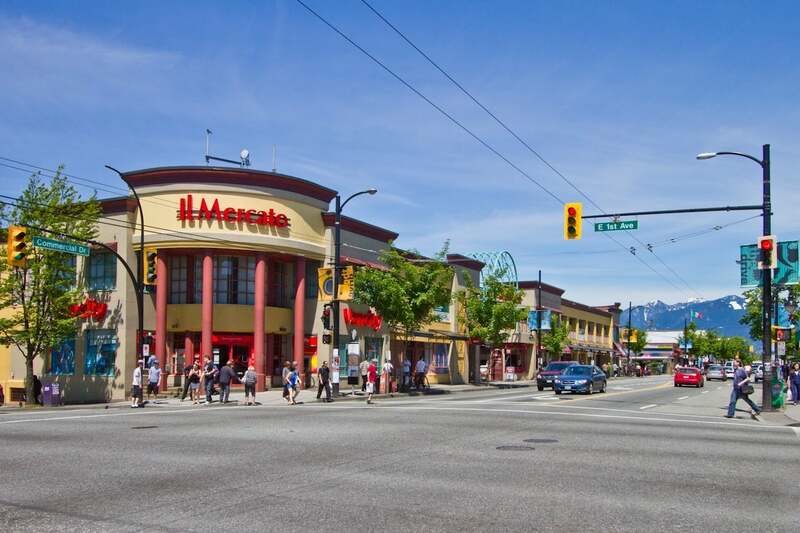 The neighbourhood is bisected by the popular Commercial Drive, home to just about every kind of eclectic shopping and dining you can imagine. From Ethiopian and Caribbean restaurants, to tiny gyro diners, to gorgeous patios and pubs with live music, food and entertainment are easy to come by. There are even pubs specifically geared toward card and table top games. Whether you're looking for vinyl records, recycled furniture, or unique and funky fashion, you can find that, too, on The Drive. Walking around your neighbourhood is a treat when you live in this area, which is filled with unique character homes and attractive community gardens. Getting around is easy in the area, with consistent and accessible public transit running all over the city from stops located a short walk from most homes. The Commercial-Broadway SkyTrain station is centrally located, with trains taking residents downtown within 15 minutes, or into Burnaby, New Westminster, and Surrey. Grandview is also known for its lush, tree-lined streets and parks, including Trout Lake with its trails and community centre that houses a rink and pool. Britannia is the secondary school in the catchment, and there are several elementary schools and annexes. Britannia Community Centre is a popular winter hangout for ice skating and hockey. The tiny Hastings area of East Vancouver has some of the earthy vibe of Commercial Drive, but without its higher prices. Located at the northern tip of East Van and bordered by Vancouver Harbour, this neighbourhood is home to numerous cafes, start-up companies, and craft breweries. Templeton Secondary is the high school for the catchment, and Sir William Macdonald is the elementary school. Both are a short drive or within walking distance of most homes. Powell Street is a quick and accessible route for commuters to drive or bus into downtown for work. The Commercial-Broadway SkyTrain station, with access to downtown, Surrey, Burnaby, and New Westminster, is within walking distance from some parts of the area, and a short bus ride or drive from others. Templeton Secondary is the high school for the catchment, and Sir William Macdonald is the elementary school. Both are a short drive or within walking distance of most homes. Commercial Drive ends in the Hastings area, and its many eclectic shops and international restaurants are mere minutes away. From Ethiopian and Caribbean restaurants, to tiny gyro diners, to gorgeous patios and pubs with live music, food and entertainment are easy to come by. There are even pubs specifically geared toward card and table top games. Whether you are looking for vinyl records, recycled furniture, or unique and funky fashion, you can find that, too, on The Drive. The Templeton Park and Pool is situated at the southern part of the neighbourhood, and is a great recreational facility for all ages. Hastings has a few of its own parks, and larger ones like neighbouring Trout Lake are a ten-minute drive from home. Hastings East, often called Hastings-Sunrise, is the up-and-coming neighbourhood of East Vancouver. With numerous parks, quiet residential streets, fantastic access to public transit, and inexpensive housing, it's an ideal location for singles, couples, and young families. The central fixture of the area is the massive lot of land taken up by Hastings Park, home to Hastings Racecourse, Playland Amusement Park, the Pacific National Exhibition (PNE) Forum concert hall, and the Pacific Coliseum. To say that entertainment is right in your own backyard would be an understatement! The PNE is the annual summer fair that hosts concerts, dining experiences, performances, and all kinds of other attractions for people of all ages. It is one of Vancouver's most popular annual events. Hastings Park itself is one of Vancouver's largest urban parks, and boasts a rubberized track for running, outdoor fitness equipment, playgrounds, a huge skateboard park, bike and walkways, and more. The rest of the Hastings East neighbourhood is filled with quiet, attractive streets and a mix of older homes and apartment buildings. Transit runs regularly through the area, connecting residents with other parts of Vancouver by bus. Commuting is easy, with Hastings Street giving access to downtown or east to Burnaby, and one of Highway 1's exits located on Hastings Street. From there, commuters can go north to North and West Vancouver, or east to Burnaby, New Westminster, Surrey, and beyond. Templeton Secondary is the highschool for the catchment, and there are three elementary schools and two annexs in the area. Killarney is a tiny area of East Vancouver, nestled between Collingwood and Champlain Heights. The size of Killarney alone is appealing, as very little of it is commercial and is instead made up of quiet streets with well-maintained older homes. It is an ideal location for families and those who appreciate peace and quiet. Dining and amenities are about ten minutes from most homes, with popular grocery stores and numerous services located along Kingsway. There is also the nearby Champlain Square, a quaint corner shopping centre that boasts amenities ranging from Extra Foods to a deli, takeout and fast food options, Starbucks, and personal and health services. Killarney is the secondary school for the catchment, and there are several elementary schools in the area. Killarney Park is a fantastic recreational park and facility, with a pool, baseball diamonds, community centre, track, playgrounds, and more. Burnaby's massive Central Park borders Killarney to the east, and is filled with trails, playing fields, 18-hole pitch-and-putt, tennis courts, and even horseshoe pitches. Another major benefit from being next-door-neighbours with Burnaby is the proximity to Metrotown which is a ten- or fifteen-minute drive or bus ride away. This shopping centre is home to nearly 400 stores and a colossal movie theatre. This shopping centre is home to nearly 400 stores and a colossal movie theatre. Knight is a long, narrow corridor of a neighbourhood in East Vancouver with fantastic access to just about everything. Knight is a commuters dream, with Knight Street itself bisecting the neighbourhood and taking residents over the bridge and into Richmond, Delta, or further south toward Surrey and White Rock, or north into downtown or other parts of East Van via Kingsway. While the Knight neighbourhood itself is home to a handful of restaurants, the surrounding areas are choc-full of dining options. Main Street is a bustling hub of international flavours and experiences, including reputable burger joints, pubs, and even one location of Cartems Donuterie. Likewise, live entertainment is also easily found on Main Street, as are a wide variety of shops and services. You can buy roller skates, get a bike repaired, visit a salon or spa, and get your beard trimmed in the same few blocks. There are three high schools and several elementary schools in the area or adjacent to it, giving parents and children lots of options for schooling. The best part about Knight is its proximity to so many different parts of Vancouver, making going out for entertainment or recreation as simple as pointing in a direction and starting out. There are parks, community centres, and golf courses in every direction, all within a ten- to fifteen- minute drive or bus trip. Knight Street at Kingsway is home to grocery and produce stories, as well as some services. Main Street is to East Vancouver now what Commercial Drive was to it ten years ago. It's the place to be, and home to an endless array of shopping, dining, and entertainment experiences. Main Street itself is a bustling hub of international flavours and experiences, including reputable burger joints, pubs, and even one location of Cartem's Donuterie. Likewise, live entertainment is also easily found on Main Street, as are a wide variety of shops and services. You can buy roller skates, get a bike repaired, visit a salon or spa, and get your beard trimmed in the same few blocks. Main neighbourhoods are collections of older homes on quieter streets, and it is a popular multicultural area for young singles and young families who all appreciate the affordability and proximity to everything they could want. There are two high schools and several elementary schools in the area. Parks and recreation are a stones throw away, with the gorgeous Queen Elizabeth Park and Hillcrest Community Centre located just to the west. The popular park is often used as a backdrop in wedding photos, and is home to a conservatory, tennis and lacrosse boxes, the community centre with its pool and ice rink, and dozens of trails. Public transit is regular and accessible in the Main area, with the Main Street SkyTrain station just to the north. 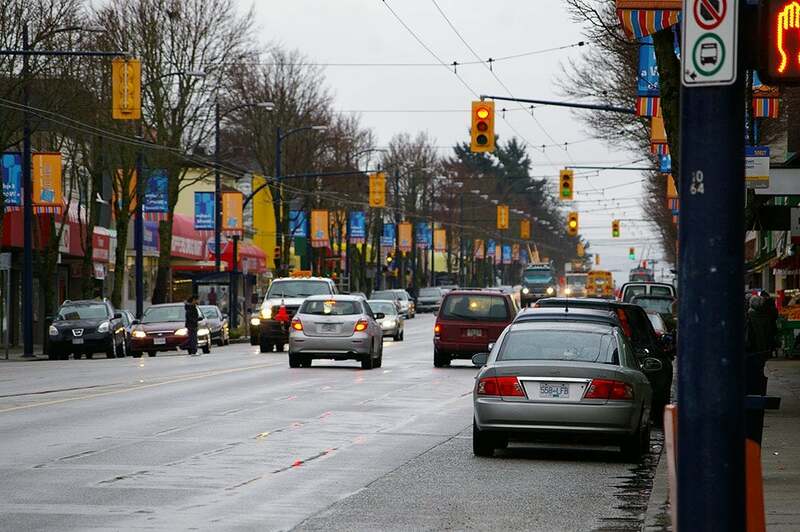 A quick drive north on Main Street connects residents to the downtown core, and to the south is Marine Drive and access to other parts of Vancouver, Richmond, Burnaby, New Westminster, Delta, Surrey, and more. 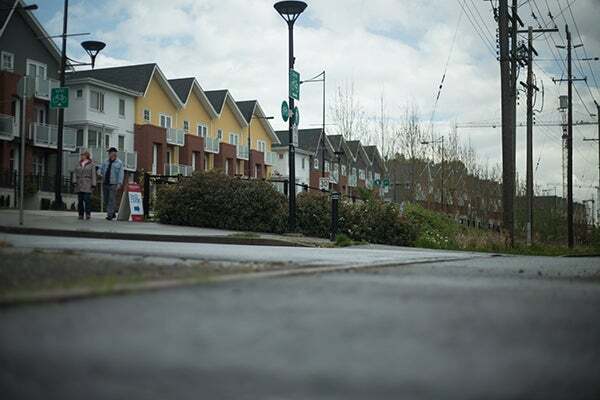 Renfrew is a large East Vancouver neighbourhood of older homes and quiet streets, interspersed with busy streets that lead to bustling action in every direction. On its western border lies Commercial Drive and the eclectic shopping and exceptional array of international dining in the Grandview area. To the east is Burnaby, including Brentwood Town Centres 90 retailers and services. Directly across the northern border of the neighbourhood is Hastings Park, home to Hastings Racecourse, Playland Amusement Park, the Pacific National Exhibition (PNE) Forum concert hall, and the Pacific Coliseum. To say that entertainment is right in your own backyard would be an understatement! The PNE is the annual summer fair that hosts concerts, dining experiences, performances, and all kinds of other attractions for people of all ages. Hastings Park itself is one of Vancouver's largest urban parks, and boasts a rubberized track for running, outdoor fitness equipment, playgrounds, a huge skateboard park, bike and walkways, and more. Rupert Park includes a pitch-and-putt, tennis courts, a playground, and football, soccer, and rugby fields. Groceries and services are easy and accessible with Real Canadian Superstore, PriceSmart, Canadian Tire, Staples, and a Walmart SuperCentre all located in the southern part of the area, on Grandview Highway. Vancouver Technical is the secondary school in the catchment, and there are several elementary schools. South Vancouver is a fantastic multicultural melting pot, and is also one of the most perfect locations in the city for those who commute to work. With its proximity to numerous major thoroughfares,Knight Street, Fraser Street, Main Street, and Southeast Marine Driveâ€š residents can be on their way to work in other parts of Vancouver or even in other cities in minutes. 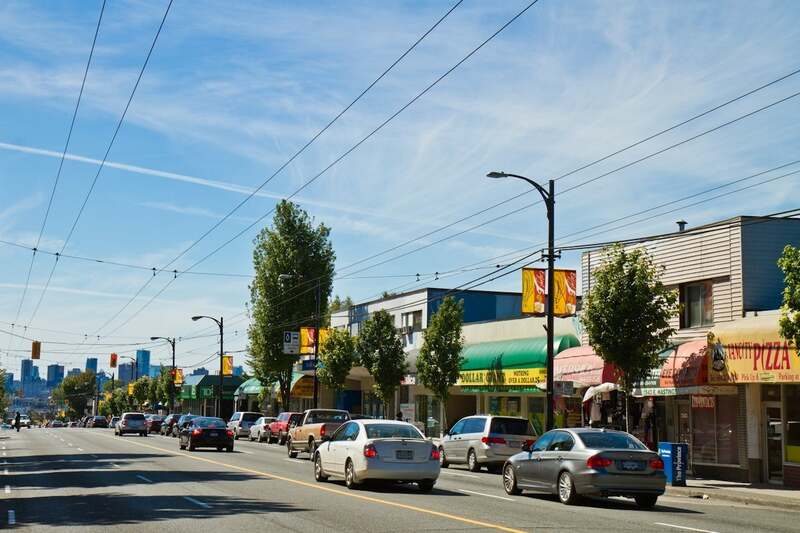 Like neighbouring Fraserview, South Vancouver is a quiet area with peaceful residential streets connecting to the busier commercial parts of the main streets. Buses run regularly in most areas. Groceries and dining are never more than five minutes from most homes, as the southern ends of Main and Fraser are known for their quaint small grocers and international restaurants. David Thompson is the secondary school for the catchment, and there are several elementary and annex schools. The popular Fraserview Golf Course is only ten minutes away to the east, and the Langara Golf Course is ten minutes to the west. Oakridge Centre, touted as Vancouver's most stylish shopping mall, and is also only ten minutes from most homes, and boasts fine local and international retailers including Lululemon, Coach, DKNY, Aritzia, Banana Republic, and Armani Exchange, as well as dozens of services. Victoria is an oblong region right in the middle of East Vancouver, and enjoys the best of all of its neighbouring communities. Located directly to the north is Grandview-Woodland, and the nearby parts of Victoria echo the earthy vibe of Commercial Drive. The Drive is home to just about every kind of eclectic shopping and dining you can imagine. From Ethiopian and Caribbean restaurants, to tiny gyro diners, to gorgeous patios and pubs with live music, food and entertainment are easy to come by. Whether you are looking for vinyl records, recycled furniture, or unique and funky fashion, you can find that, too, on The Drive. Cutting through the middle of Victoria is Kingsway, home to a variety of international restaurants and services, as well as several pubs. The southern area of Victoria is primarily quiet residential streets, with the busiest and most popular part of Victoria Drive itself running up the middle. Here, residents can find a wide variety of small grocery shops and dining. Multiple parks (including Trout Lake with its trails and community centre that houses a rink and pool) are situated in the Victoria area. Public transit is plentiful, providing easy access to the rest of Vancouver. Commuting into Downtown or to other cities to the east or south is quick and simple via Victoria Drive to Marine Drive. Gladstone Secondary is the high school for the catchment, and there are several elementary schools to choose from.